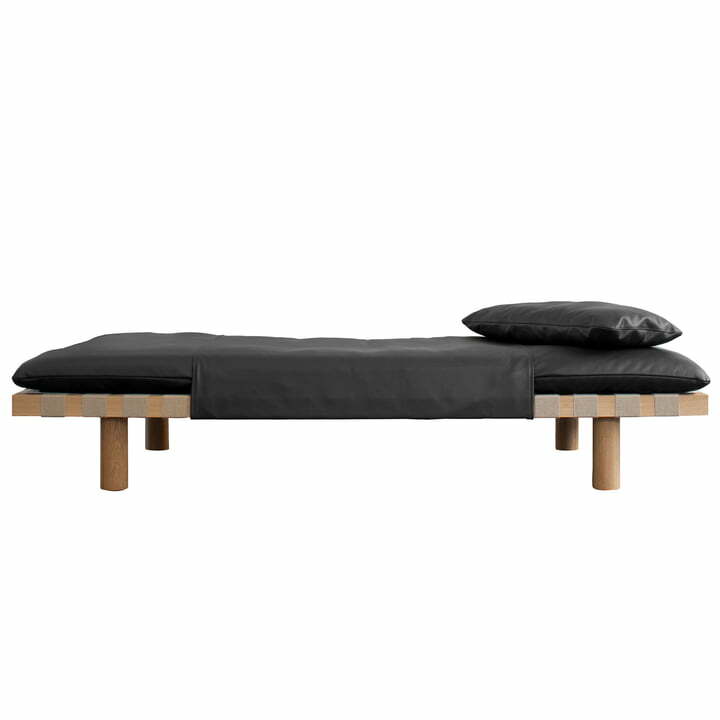 The Pallet daybed by Pulpo was manufactured according to a design by Sebastian Herkner and is characterised by its Japanese style, minimalist, linear design. Used as an alternative sofa in the living room, a bench in the hallway or a classic bed in the guest room, the stylish daybed is a versatile and inviting piece of furniture that is ideal to relax and unwind. The simple structure features cylindrical oak legs that harmonise beautifully with the leather upholstery. Comfort is ensured thanks to the padded mattress that is further enhanced by the accompanying cushion. 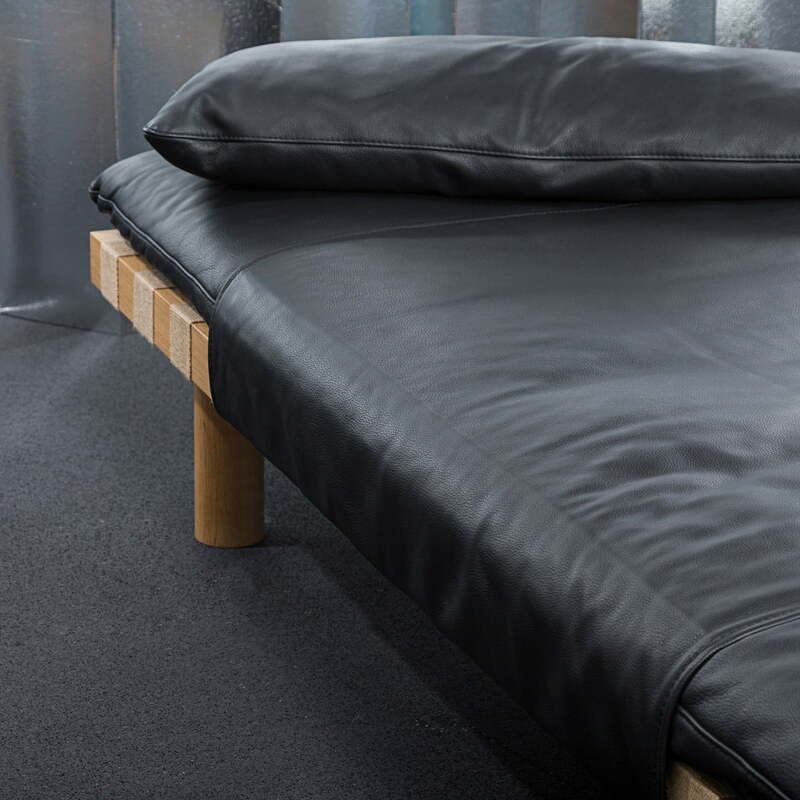 The mattress is fixed to the bed with the help of a wide strap made from the same leather. Isolated product image of the Pulpo - Pallet Daybed. 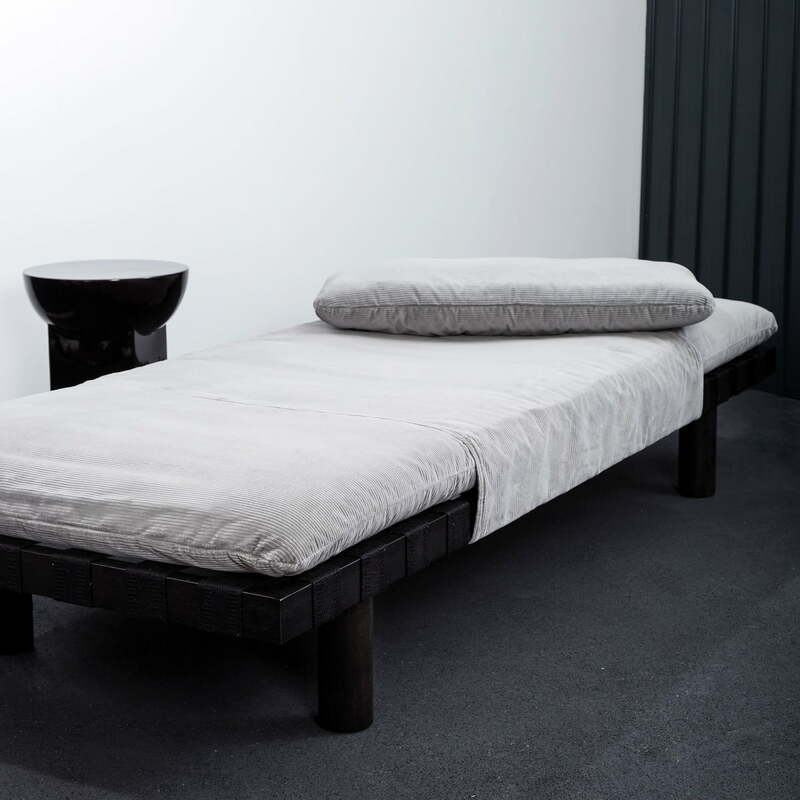 The Pallet daybed by Pulpo was manufactured according to a design by Sebastian Herkner and is characterised by its Japanese style and the minimalist, linear design. Lifestyle product image of the Pulpo - Pallet Daybed. Used as an alternative sofa in the living room, a bench in the hallway or a classic bed in the guest bedroom, the stylish daybed is a versatile and inviting piece of furniture that is ideal to relax and unwind. Detailed product image of the Pulpo - Pallet Daybed. The simple structure features cylindrical oak legs that harmonise beautifully with the leather upholstery. Group product image of the Pulpo - Pallet daybeds. 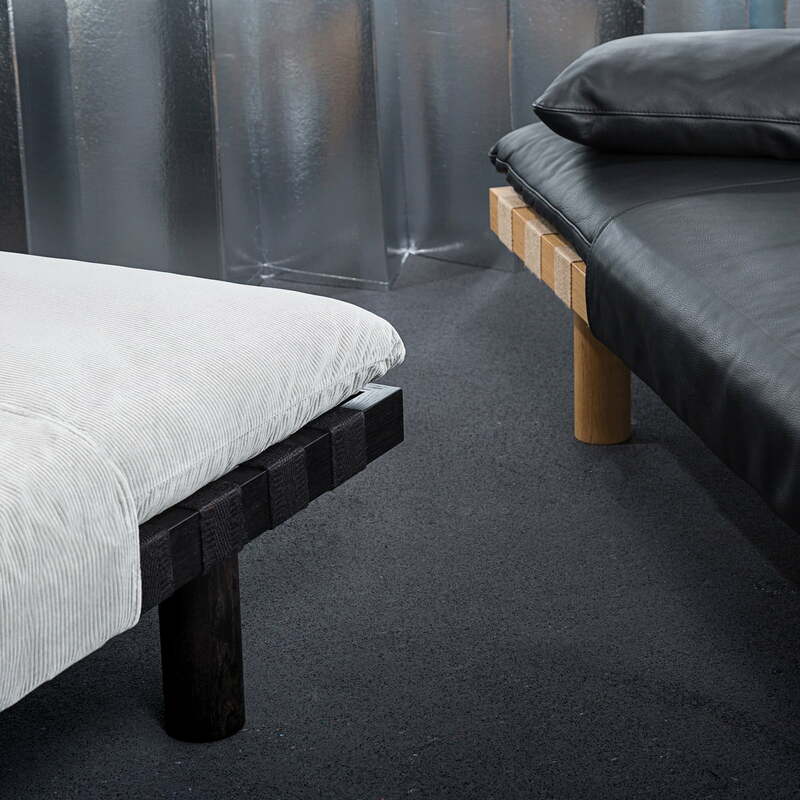 Comfort is ensured by the mattress covered by leather upholstery as well as by the accompanying cushion.